Changed my oil last week and found the same. It seems to be coming higher up than the banjo fitting on mine. There is a thread on this in the maintenance section I believe. 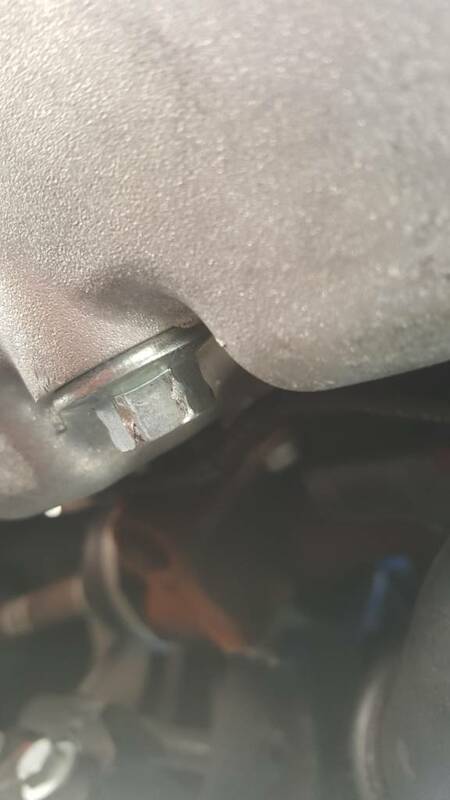 I got underneath my car for the first time to change the oil and noticed my drain bolt was rounded off kind of like yours. Pretty disappointed in the service tech that did this. Correct. 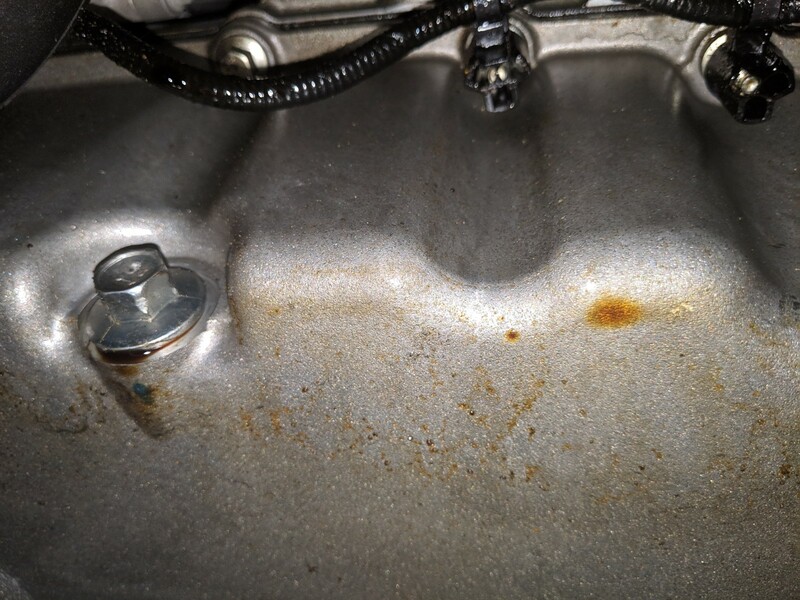 I can't find the thread (I think it was part or off-shoot of the banjo oil leak thread), but it is possibly coming from the valve cover or head. Have either of you guys got the HG recall done recently? 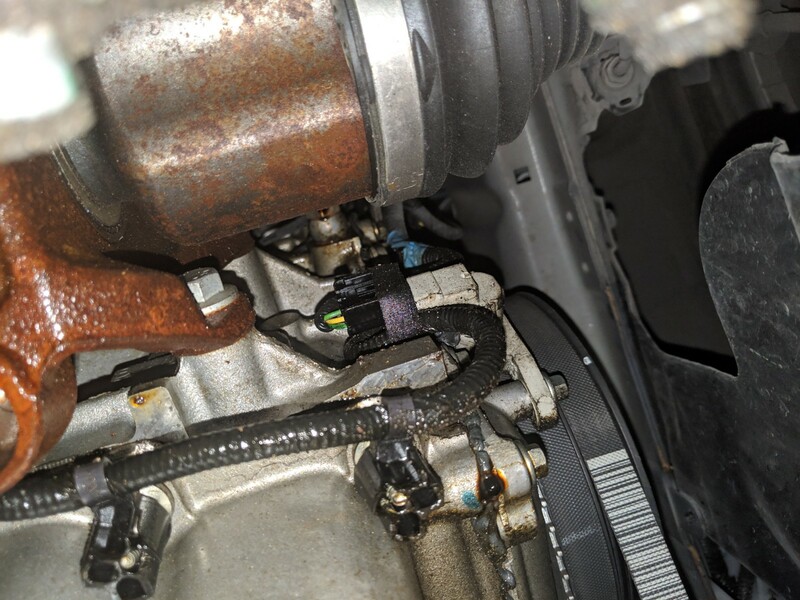 I got a similar leak from mine and it was due to the tech incorrectly applying the sealant which caused the leak. Took it back in and had it redone and it has been ok so far. HG was done under a previous owner. This is my first oil change, car has about 8700 miles on it. 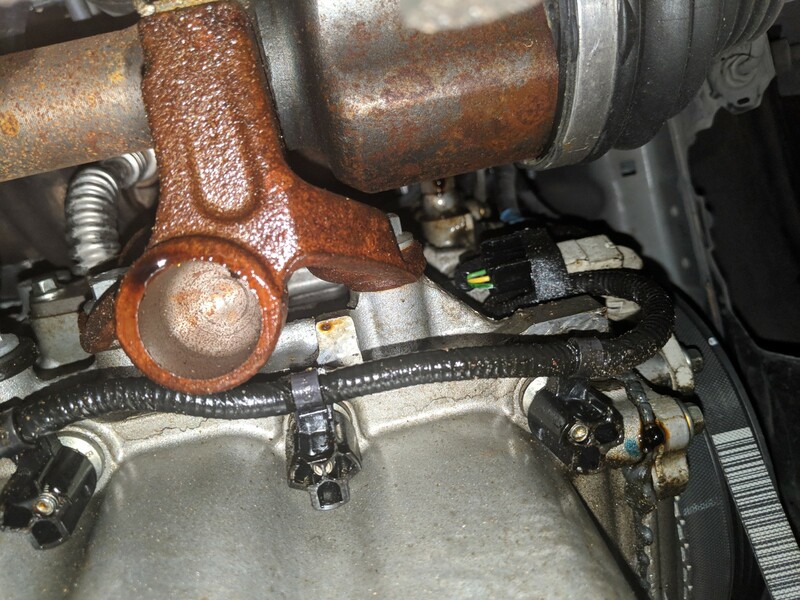 I had a similar leak on mine that was resolved by replacing the Banjo Bolt and Washers. So unless it's obvious the leak is coming from somewhere else (see the "Oil Leak after HG Replacement" thread), I'd start there. 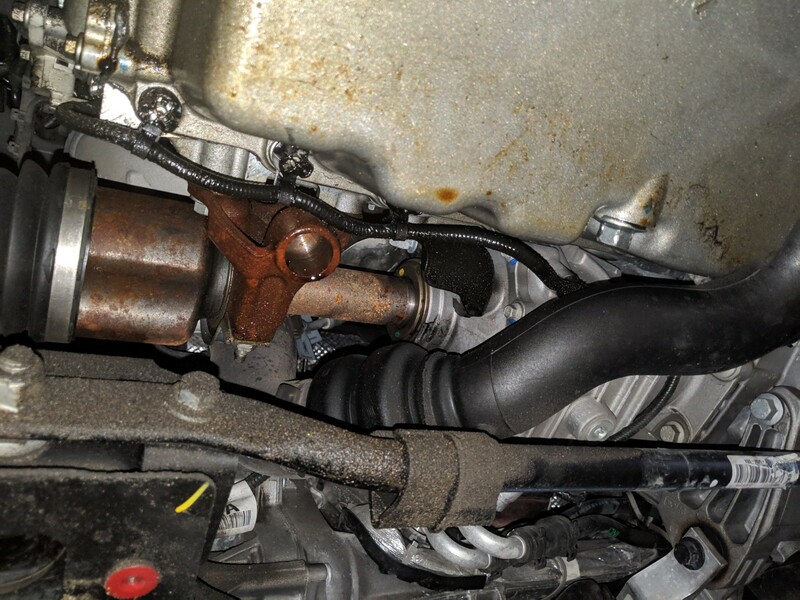 Also, based on the first image, it looks like your PTU Intermediate Shaft Seal has had a minor leak at some point. If you're under warranty, I'd have them replace that with the updated seal while you're at it. Had HG done as well. Thanks for the input. The drain plug bolt on this car is made out of tin foil, honestly. On all my other cars i've never had one deform so easily. What date was the HG change done? 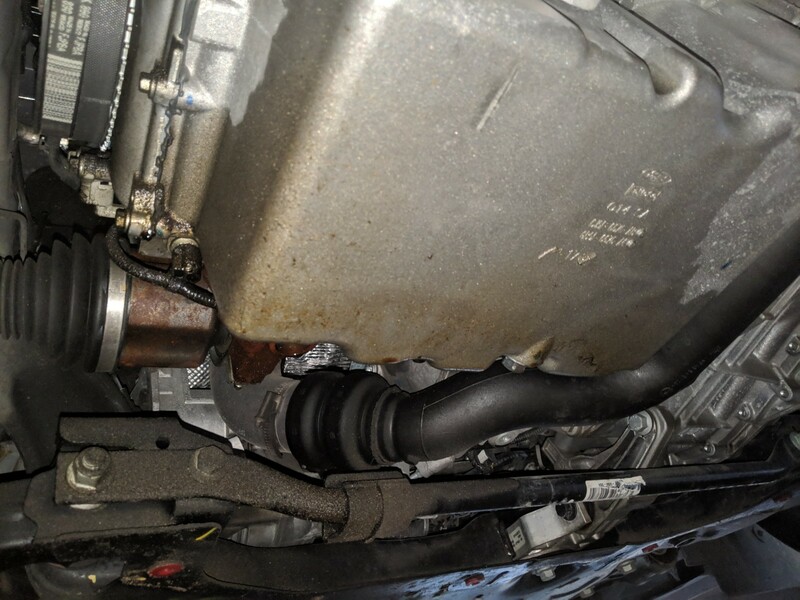 there was a revision to the shop manual last October that added a requirement to put TA-30 sealant at 2 locations on the gasket surfaces before installing the head to prevent oil leaks. If it was done prior to this then thats a possibility. As long as the tech took the time to review the manual that is. Some experienced guys that have done a task a time or 2 then forget to check for manual revisions and miss this sort of thing. 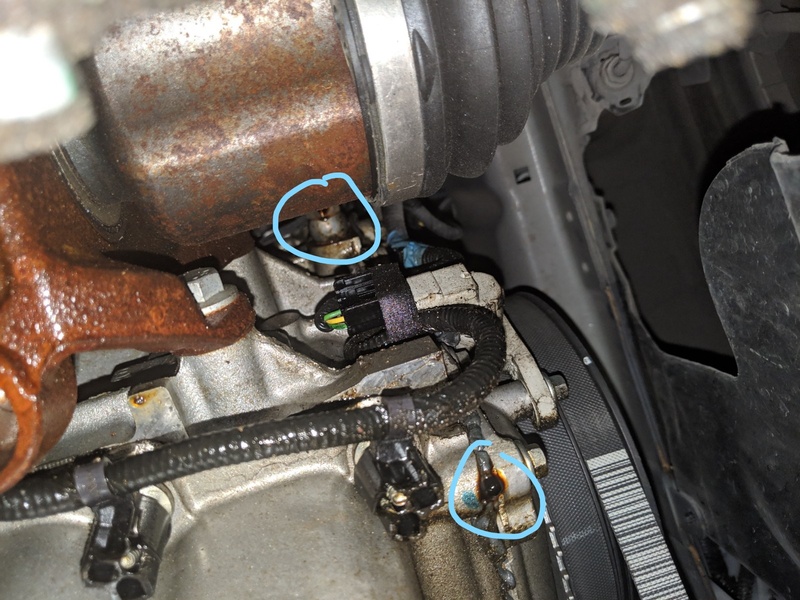 As usual look for the simple stuff first like the rocker cover gasket and the turbo drain oil line which is easily damaged when they do the gasket. Then move onto the front timing chain cover. Lots of people seem to have replaced the turbo banjo washers, some multiple times to no effect only to find the leak somewhere else. Also check the TDC lock pin blank screw on the rear or the block. Easy to leave out when they put it back together. RS_Vega, KHoff, Alpha Dog and 1 others like this. Had mine done prior to October so that can be added to the list of things for them to check. Very much appreciate the info. Thanks! Noticed Some Strangeness in My RS. Drop shipping and/or changing orders before scheduled?